The Department of Arts and Culture is one of the departments of the South African government. 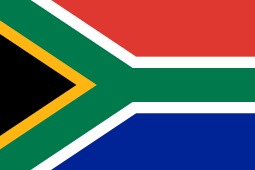 It promotes, supports, develops and protects the arts, culture and heritage of South Africa. The heritage sites, museums and monuments of the country also reside under this ministry. The political head of the department is the Minister of Arts and Culture; as of 2014 this is Nathi Mthethwa. In the 2010 national budget, the department received an appropriation of 2,406.7 million rand, and had 461 employees. ↑ "Vote 13: Arts and Culture" (PDF). Estimates of National Expenditure 2010. Pretoria: National Treasury. 17 February 2010. ISBN 978-0-621-39079-7. Retrieved 30 August 2010.